Utah | Community Options, Inc.
Community Options, Inc. of Ogden, UT. 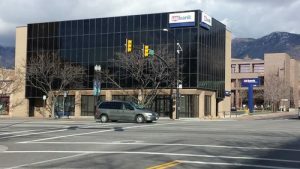 Community Options, Inc. of Ogden was established in 2016 to provide community-based options for residential and employment services to individuals with disabilities living in the area. Community Options, Inc. of Salt Lake City, UT. Community Options, Inc. of Salt Lake City was established in 2017 to provide community-based options for residential and employment services to individuals with disabilities living in the area. Staff meet with the individual and their family to ensure that each individual’s plan is person-centered, incorporating the person’s preferences accordingly. Residential supports are designed to assist people with disabilities moving from nursing homes and state schools, or who are on waiting lists for community services, to find housing in the community. Community Options also provides supports to people living at home with their families.